RG: Let's talk about Nintendo, You know Nintendo's hardware very well. Recently, you showed yourself disappointed with many studios graphical efforts on the Wii. In a hot selling machine like this, why don't we see many great looking games? JE: There's a distinction between... because I think people took my comments as that I don't like the look for example for Wii Sports. I think what Nintendo is doing in the Wii Sports is perfectly fine because they're utilising the hardware for that style exactly as much as they need to utilise it. My complaints were actually about the games which try to go the traditional, more photorealistic route, because there you really have to push it, and they're really not pushing it. Why not? Hmmm I don't know, the hardware is very, very easy to understand. Now the problem might be -and it just might be- is that some studios -or some publishers specially- are discarding the graphical capabilities automatically simply because it is a Wii title and they're basically telling the developers "look, we won't pay for any advanced graphics". Because the Wii, I mean not that you would meet a 20 million dollar budget like on the PS3, but if you want to get really, really advanced graphics out of the Wii, then you have to spend probably more money than basically going for the cheap solution, so that might be an inherit problem, so it might actually not be the laziness of certain developers, but it might be the... inability or the non existent willingness of the publishers to actually give them in a budget to do better graphics. RG: So maybe we can blame the publishers instead of the studios? JE: I think that at the end of the day it's a mixture of both, because as a developer who is working on a more photorealistic title I think they also have to step up to the plate. They've to take a look a bit deeper and then go to the publisher and say look, just because we've done ten comic book type graphic titles, this one needs different graphics, so let's take a look a bit deeper into the hardware. You're giving us millions of dollars to find out how our assets end in the 360 GPU's work, we want to take a look a bit deeper into the Wii GPU because obviously you can do more. Many have proven... Resident Evil 4 clearly from Capcom or our own Rouge Squadron series has prove that you can do a lot more with the hardware, so it's not secret that it's in there, somewhere. But developers need to step up to the plate and the publishers as well... or they need to be open about it and if they're really willing to do it then they need to find the graphical style which is simply different, I mean that's another solution they have there. RG: Can it be because of their tools? That it would be easier if the Wii had standard shader effects... or is it a matter of work because you have to prepare the shaders for yourself? JE: The one thing which makes it probably harder for developers who are coming from the traditional direction is that the shader system inside the hardware works quite differently, you have something more right about that than the traditional AGI and the video pipelines. Because the thinking back when the basic graphics hardware structure was developed was to get very, very efficient, that hotwired a lot of things. But there're many possibilities in terms of how to use that hotwiring and actually rewire it, if you're clever about it. If you connect you can get a lot of shader effects which would've been on the 360 or the PS3. JE: Yeah, because... on the Wii, you just have to be more ingenious. But the Wii, on the other hand... I mean, think about it: it's got so much more power compared to the GameCube. If even with the extremely similar shader hardware, the system clockrate is so much higher, you can do so much more advanced things, so if people just would look at Rouge Leader, Rebel Strike and Resident Evil 4 and then say: this hardware is significantly faster than those games it should have the very minimum they should get that and then they should build on top of it. JE: Yeah, exactly, and the memory! That is a very good point. 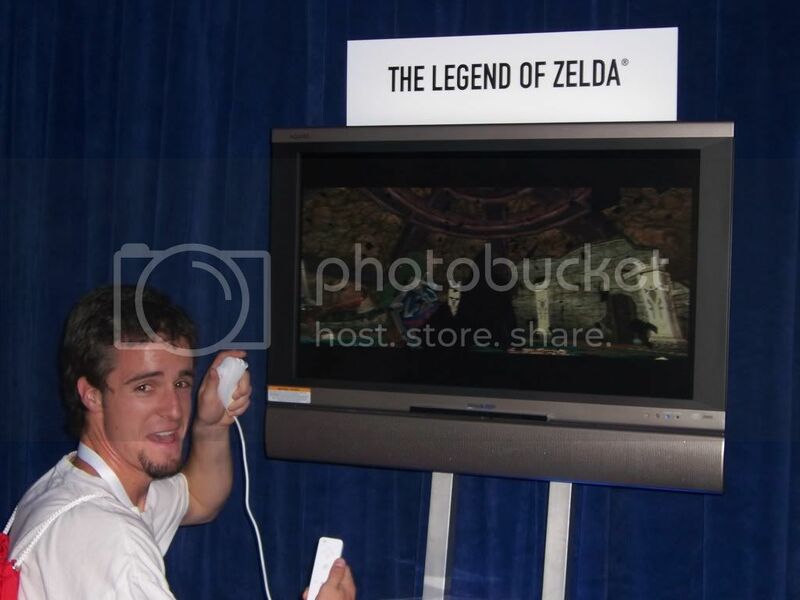 Aside from the shaders, our main limitation which we always found on the GameCube was the memory: the memory was a struggle the whole time; it was a very hard struggle. That was actually our biggest struggle. When we got the Wii specifications we were excited because we said "wow, this is actually the amount of memory which we needed"
RG: Going with that... have you considered the option of sharing your previous development tools with other studios? Because Rebel Strike was an awesome looking game. JE: The Star Wars engine was never developed in a way that you can just sell it to somebody, because we never thought of it as something sellable. If we would do a new engine or something which is more around or current engine because with four years... it'll be the one which is basically been used as the basis for Lair. If we would do a Wii version of that, certainly that could be something which somebody could license. But I wouldn't just drop the old Rebel Strike stuff just onto somebody, because at this time I think we're so much more clever about the load of the data path issues, which you guys in the press never see because you get to see the finished game. So all of these things now that we're much more clever about. And it was way too painful back then. We don't want to take up the old engine, but having said that I would do a new engine, and certainly it'd be fun to do that on the Wii. RG: So would you start from zero or downgrade something that you've been using on Lair? JE: In terms of the data path and things like that, we would probably use what we're using nowadays really exactly because you can transfer that over. In terms of shaders and very specific things like physics, we would start from scratch, because you need to tail up that very much to the hardware. RG: Just one more question about that thing. Some other tools like the Unreal Engine are widely and easily licensed and used by many studios. We haven't seen a modified version of them for the Nintendo platform, which could make a full and easier use of its graphical and control possibilities. Why? JE: I think the issue with that... you would have to ask them. I think the more successful the Wii platform gets, the more Epic and other engine vendors will probably think about the whole thing. But if their engine is all thought about and all built around the current generation in terms of 360 and PS3 graphics hardware, then they might have a problem actually getting for example the data sizes down to a point where they work nicely on the Wii. Outside of that this guys usually haven't work much or at all in the GameCube days on the graphics side, and that comes down to exactly what you were asking earlier and I don't know if with their high end graphics program... as they're willing to look at the hardware and do something completely new. But I can imagine that there will be several engines coming out, also for the Wii, because the more successful it gets, the more people will ask about the pros of portability. But it is a tricky issue because you can take the PC and then you say "for the PC and the PS3 and the 360, all have an arrange to kick off memory" for example. That's so much more!, so all of your data structures... certain things within the engine always assume that you have that much memory, it might be practically impossible to go over to the Wii. So it really depends on your engine and if it was designed in mind with something very small and very large, and it's sometimes not very easy to scale in very large and very small. RG: Mario Galaxy seems the best example of what the Wii can do. How far do you think a studio can go from that point? In other words, how much does the game use the power of the system in your opinion? RG: Have you tried it? JE: Yeah, of course! (laughs) I'm a huge Mario fan, it's the one I'm looking forward to the most. RG: Oh the cake stage is awesome! JE: Yeah! (laughs) No, I'm so looking forward to it because I was a little disappointed (as probably most were) with Mario Sunshine because it seemed that at the half point they kind of lost interest in making the game. And Mario Galaxy is so inspired that it seems to be worth the success of Mario 64. And with that also, certainly looking at it, it's the first game -also which I saw at E3- where I said "yes, this thing is actually taking advantage, it's running at 60fps, it's basically doing new graphical things with the hardware. Having said that though, it's nice because of the things it's doing; it also does have certain advantage by having exactly the perfectly right style for the hardware. Doesn't make it easier at all, but nevertheless they have a big advantage due to that, because, of course, the Mario style just fits their hardware absolutely perfectly, and they're taking nice advantage of it. I think the biggest challenge which you have on that specific hardware platform is to go into the photorealistic route, because in the photorealistic route there're certain things which the basic structure of the graphics hardware was not meant for and which you have to find really clever tricks to basically make up. And that's kind of the next... that's the big barrier on the platform. I think certain developers will grab it. Certainly, if we would do a Wii game, we would try to do that. RG: That'd be fantastic. After the Rouge Squadron series and Lair, will we be flying with Factor 5's next game? Any clues on when and in which platforms? RG: Ok, the last question... we're making a poll for our readers, what's your favourite Wii game or project at the moment? RG: Or what You can come up with! RG: Ok, that's all, thank you very much, Julian. Keep in mind that this is a translation from Spanish, but you can see clearly what they are talking about. This is more strong proof that the Wii can do very similar things to the Xbox 360 and PS3 graphically. It seems like Metroid Prime 3 is just the start of what the Wii can really do. I saw this blog as a referrer, thanks! Thanks for the update. That was a great interview with him, he has always liked Nintendo and he really really understands how the Wii works. Its nice to finally see some hard proof to back up some of my previous articles I've written on the Wii's graphics power. Hey metaldave, thanks for posting this interview with factor 5. I will show this to other's who still think nintendo has reach it's limit on graphics. Nice to hear the company has not lost any interest in nintendo not that they ever did. All these other develop companys should pay more attention to companys that know the tools of the wii hardware. Thanks man. This is an important interview because it really "outs" these developers that are putting out half-assed ports or not really putting much effort in the graphics. This guy obviously knows what he's talking about. The Wii insides are very similar to the Gamecube's just with more power. Factor 5's games on the Gamecube are still more appealing graphically then about 90% of currently released Wii games. I hope their next project is back with the Wii. BECOUSE I TELL THE TRUTH. SPEC/CLOCK/RAM/BANDWIDTH/BALANCE/EFFICENCIE/DEV KITS/DRIVERS/MANUFACTORING PROCESSES AND IMPROVMENTS AT THE DESIGN LEVEL EVEN THE CHEMICALS USED ON THE CHIPS ITS ALL BETTER..
Great comments Cubeboy101, I agree with your intensity. even more reasons Resident Evil 5 Has to be on wii. People keep pointing to this interview as proof that re5 is possible on the wii, but if you actual understand what they are saying, its just more proof its nearly impossible. The wii hardware is much more powerful than the GC and the PS2, and not that from the xbox 360--but its powerful in a different way! The type of lighting and shading effects use in RE5 would not be possible. The system was created to produce a certain look in games(take mario galaxy). Now it MAY be possible to create a work around and cause the system to produce more photorealistic graphics, but it would cost millions in research to do so. It would not cost millions in "research" because Factor 5 already has that research done and they know what to do with the Wii. The cost of making a game like Resident Evi 5 for the Wii would be a lot more expensive than the port of Resident Evil 4 was by a long shot for sure, but it would be money well spent and it would still be less expensive than a game on PS3. I am a AAA game developer. So, they might have to run lower poly models, rework some shaders, possibly minimize some AI logic, and copy some input code from RE4. C'mon... we ain't talking millions... what we are probably talking about is team bandwidth...having the right guys available. My bet is we will see RE5 on the Wii 6-9 months after RE5 on other platforms.